If you're friends with me on snapchat you know how much I love my green juice and smoothies. Don't get me wrong. I love veggies, but there's just something about drinking them instead of having to sit down and eat them. All the great nutrients, neatly packaged and easily thrown into a purse for on-the-go juicing. 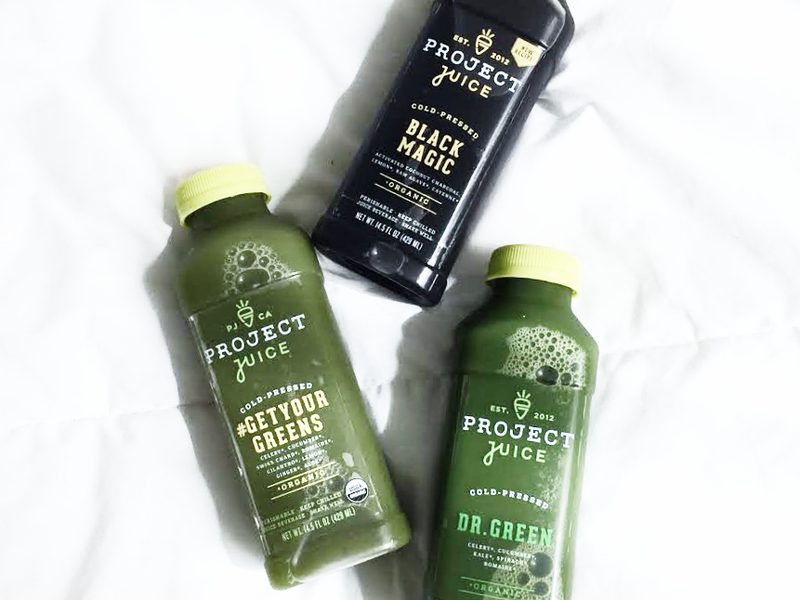 Although I've done a few one-day juice cleanses, I decided to really go for it and try a 3-day with Project Juice. I chose the "advanced reset" since I prefer green juices over super sugary, fruit ones. It did not disappoint. Even though I only lasted 1.5 days ("advanced" is no joke,) I ended up sipping the leftover juices throughout the rest of the week. Have you juice cleansed before? Which one? How was it? I want to know the good, the bad and the ugly. Comment and let me know! Project Juice "Advanced Reset Juice Cleanse"